Any standard bank file will work. The columns on this report need not to be the same as your bank file. 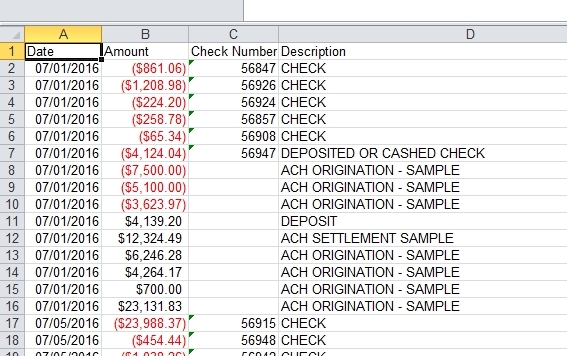 The important thing is that you can download the bank file into a csv for Excel file format. If you can do that, the bank reconciliation is almost good as done.